We service on all holidays and weekends too! If you’re looking for high quality and personal service for moving or repairing your pool table, you’ve come to the right place. Colorado Pool Table Technicians believe in quality work, satisfied customers and good old Colorado service. We are experienced pool table movers and repair technicians. We enjoy doing exemplary work and love to hear the praise from pool table owners. Let us put our experience to work for you. Or like us on Facebook, shares are appreciated! We offer the best in pool table moves, pool table re-felting, pool table bumper repairs, leveling – you name it. We also service and move billiard tables, snooker tables and casino type gaming tables. Our rates are competitive, as low as we can make them, with no hidden fees. Our employees are friendly and will take care of your pool table every step of the way. Colorado Pool Table Technicians ® ​NOW SERVICING THE DENVER METRO AREA AND COLORADO SPRINGS. 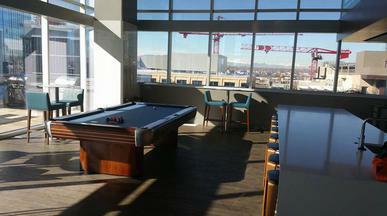 Premier Pool Table Service for Denver, Colorado Springs and Fort Collins.